Since the last post, I took some time to better prepare environment. That means there are no new features. I pushed only two commits, total 160. I did set up Google Test and modified makefile to include missing DLLs for Windows releases. I also started playing with Blender to make some models. 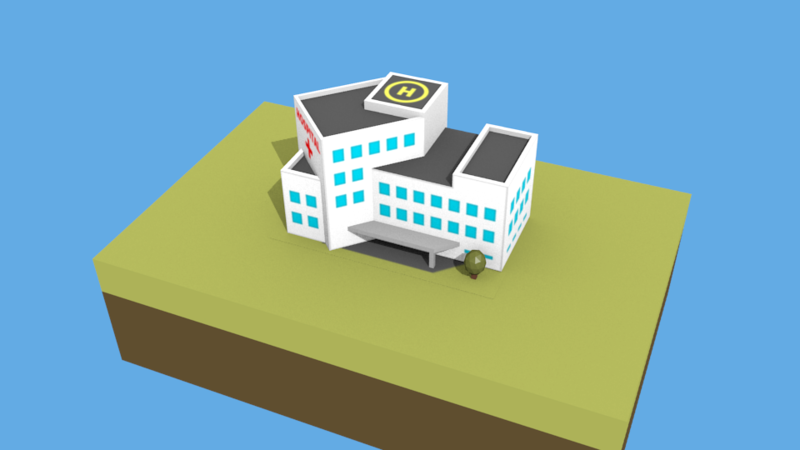 It takes a lot of time and there are lots of new things to learn, but I managed to finish a simple hospital model. I don’t know yet what should be published in the repository for blender models and I didn’t decide on file format yet, so it’s not included in the repo. I don’t publish builds this time.